The Monegasque ski club is celebrating its 85th anniversary this season. Created in 1931, it has offered young people from the Principality a competitive skiing experience for eight decades. Alexandra Colleti, Olivier Jeannots, Arnaud Alessandri are all known skiers competing on international circuits, but they all began their careers at the Monte Carlo Ski Club. 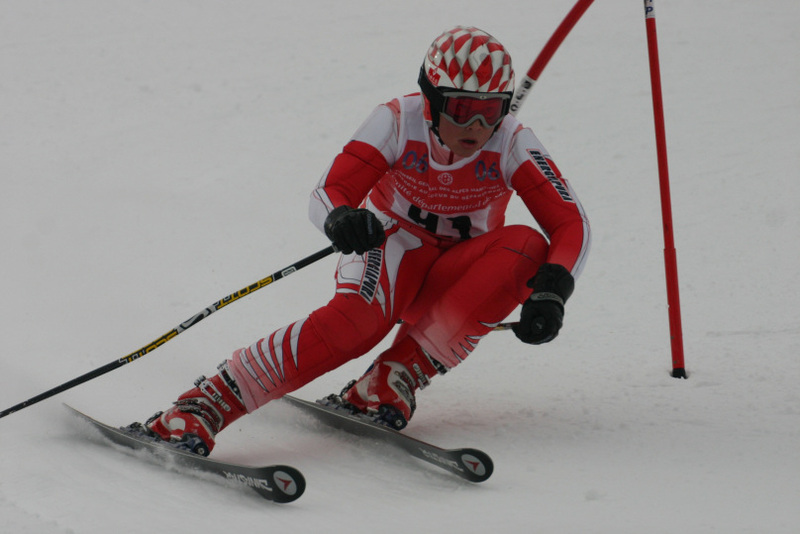 The Monegasque club has reached its 85th year and continues to offer young people from the Principality a chance to practice competitive skiing. Since its creation in October 1931, 25 presidents have come before Jean-Paul, who has been president since 2008. “We are a club with zeal, which is next to the ocean. We’re almost a mountain club, because we’re an hour and twenty minutes from the Cote d’Azur. We have two elements at the Monte-Carlo Ski Club, an element of leisure, where we go out every Saturday, and an element which you can see today, an element of competition. We have 3 sites in total, this year on Isola 2000, Valberg and on Auron. Our skiers participate in the Europe Cup and the World Cup,” said Jean-Paul Tournier, President of the Monte-Carlo Ski Club. Almost 160 skiers are registered this year at the Monte-Carlo Ski Club, with 60 competitors on the three sites. Franck Gadrey has been a trainer at the Monte-Carlo Ski Club for more than 25 years. He has formed many generations of young skiers. “It always pleases me to see the youngsters grow up. I’ve seen generations pass, so I get nostalgic. When they’re here and they want to ski, it makes me happy, I always want to work. A trainer has to help them surpass the stress of the moment of departure on top of the run, because that moment is strong, everyone has their method. Some of them are stressed, so we have to try to de-stress them. There’s always a moment when they’re concentrated on the route and after that, the course is the course, they get through it, they fall, they get disqualified, it’s always the same,” said Franck Gadrey, ski trainer. Training goes on during the length of the season on the three sites: Isola 2000, Auron and Valberg. Every weekend, the skiers train for the regional competitions, the National Championships and the International Ski Federation courses. “It’s nice because, after skiing, we find ourselves in the gallery, and we make jokes and have fun. I like Slalom and I like competing. It’s the only sport I compete in at this level, I haven’t been doing it very long and I love it,” said Maya Devic, a young skier in her third season. Arnaud Alessandri, a skier who began his career at the Monte Carlo Ski Club. Photograph: Monaco Reporter. “I like competitions, because I want to win. I prefer winning to losing. Competitions are good because we can see how good we are compared to others on the different courses. Every weekend we do three hours in the morning, from 9 am to 12 pm and after that we train with slalom, giant and parallel,” said Lorenzo Costa, a young skier in his fourth season. Training is also organized during the summer and over vacations to better prepare the young competitors. Physical and sportive training is important, but ski preparation is a very important step. “Preparing skis takes a long time. The skis are that brought to the workshop are worked on to make them correct and get the ski edge angle right at 88 degrees, then we put on a base coat so they can work in the cold temperatures. We scrape the skis, brush them, which is very important because it gives them a smooth and clean surface which glides well. The role of the trainer is also to prepare and make sure the skis are ready for the courses. I prepare the skiers and to give them a 100% chance to be able to get the best results possible, the skis need to be ready. All the skis are prepared in the same way for all the participants,” said Franck Gadrey. The Monte-Carlo ski club works with the Monegasque Ski Federation, which is celebrating its 35 year anniversary this season. In spite of the surprising fact that a ski club exists in a seaside city, this discipline remains important to the Principality.